Showing 4 articles from September 9, 2016. ROSELLE, NJ - Funeral services for Clarence Rushing, 77, who died Wednesday, Aug. 30, 2016, will be held Wednesday, Sept. 14, at 1 p.m. at the Richardson Funeral Home chapel in Louisburg, with the Rev. Maurice White officiating. Burial will follow in the Salisbury National Cemetery. 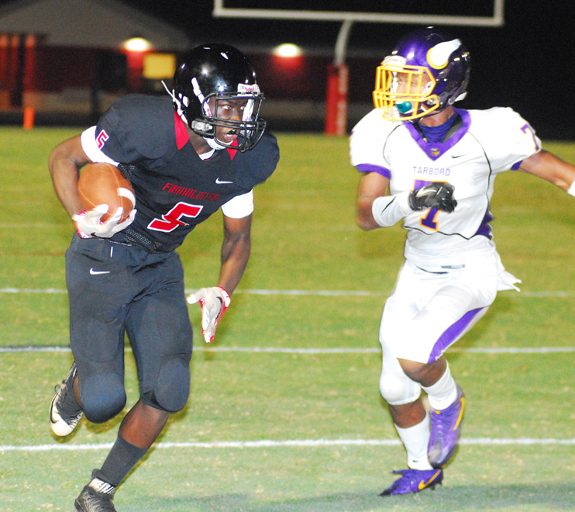 Coming off a pair of strong home victories, the Franklinton Red Rams had high hopes entering Friday's contest against tradition-rich Tarboro at the FHS Football Field. OXFORD -- Louisburg High School's first victory of the 2016 football season was one to remember as the Warriors won a back-and-forth shootout with host Oxford Webb on Friday night. HENDERSON -- Northern Vance threw a bit of a scare into Bunn by scoring the first touchdown of Friday's non-conference football showdown.